Never has some little attracted so many trip aspirations. Antarctica is amazing to visit, bit expensive to do so. The stillness and wildlife is something special, but bragging rights are often the number one draw. Considered a 'big' one in the travel world, almost every traveller will want to brag about stepping foot on the seventh continent. The lure of doing so is almost irresistible and in common with several other 'ultimate' travel destinations (think North Korea, the Galapagos, Everest base camp and Bora Bora) it is actually relatively assessable/easy to visit with large numbers of lucky tourists making the trip each year - yet a visit comes at a pretty penny. Don't expect much change out of USD5,000 and be prepared to double this depending on the quality, timing and routing you choose. 1) From Cape Town, South Africa you can find 'in season' flights depositing you firmly on the continent for views of the white desert and even Mount Vinson. You will stay in a camp and forego the need to get on a ship. Views from the air are (apparently) amazing. This option comes at high cost - you can figure out how much yourself. 2) From New Zealand there are also flights to research bases, but most trips leave on long sea journey heading towards the Ross Ice Shelf. 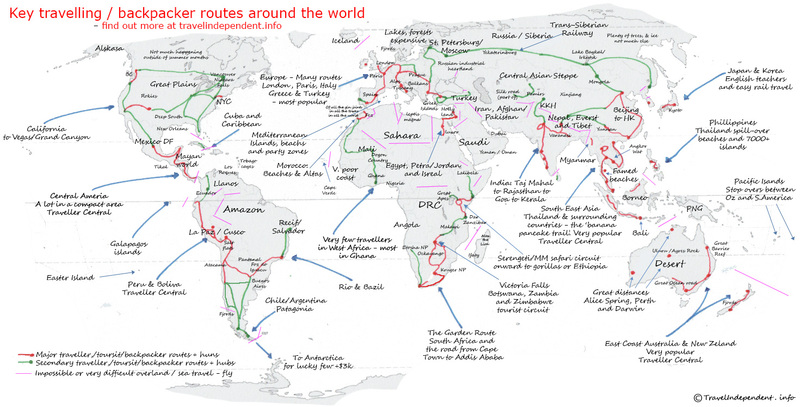 A long and expensive route, few taking this route. 3) From Argentina. This is the route 99 percent of visitors take. It is the cheapest and geographically the nearest to Antarctica (by virtue of the Peninsula that juts out towards Ushuaia (where most operators are based). Puerto Williams is where most vessels depart. For simplicity and experience sake this is route we will focus on here. Situated at the bottom of the world and Argentina, Ushuaia is a popular travel destination for those visiting Argentina and wanting to take in Patagonia, The Fitz glacier and the Torres del Paine natural park/trek in Chile. It is also ‘Gore-Tex’ central and a traveller focused town with many travel agencies offering trips to Antarctica and around. 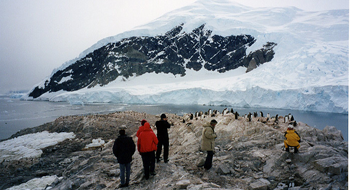 In the high season which is from November to the beginning of March, (the summer on the great white continent) the streets are clogged full of expensive outdoor clothing and those departing for Antarctica. It is here where you need to shop around travel agents if you are set in getting the best deal and are free to travel immediately. You simply need to trek from agency to agency asking what they have available and telling them the lowest price you have heard so far. It is the case if a vessel is departing less than full and they are keen to fill the last places you can get big discounts from list (pre-book) prices. This approach won’t suit everyone, but apart from New Year and Christmas and in years of low visitor numbers is pretty decent at securing decent discounts for the ultra-flexible. Triples berths are always the cheapest and you will need a few days to make arrangements. If you have firsthand experience, please share it with us. Well like any trip the secret of getting the lowest price is matching the lowest quality with empty capacity and your availability to fill it at short notice. Getting the best value, doesn’t mean comprising on quality, but being available to travel at the right time, that is when there is empty capacity. It is the age old debate, book in advance or just turn. If you just turn up you do take some risk you won’t find a places, or the place you want and will need to waste some days hunting the deals. That said you can pretty much alway sure of some available unless you are super unlucky and are there at peak-peak time. Just how many empty spaces operators are willing to place last minute at a discount will vary year to year. 10-11 total days with 4-5 getting there/back and 4-6 exploring. Think around US$5,000 +/- $2,000. Extend version of above by 2-3days. Think around US$6,500 +/- $2,000. 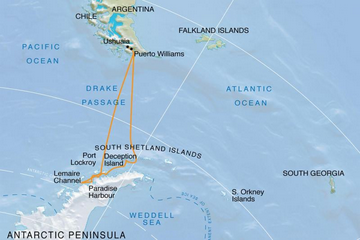 The most expensive, rewarding and longest trip taking in Falklands/South Georgina Island. 8-10 days at sea, 1-2 days at Falkland Islands, 2-3 days at Georgia Islands, 4-5 Antarctica. Think around US$12,500 +/- $3,000. You can skip the sometimes (read often) rough Drakes Passage crossing saving about 4 days by flying (these flights typically go from Punta Arenas, Chile). You join a vessel when land and shorten your trip. Some options may allow a stay on land. Not to be confused with options out of South Africa or NZ. Think around US$6,000 +/- $1,000. A surprising number of people make the trip each year (most of them North America – detailed statistics can be found online) and ships can hold up to 500 people at a time, vessels depart daily during high season. The price you pay will typically correspond to the age of the vessel, when you book, how desperate they are to fill a space, the type of cabin (how many people, size and part of ship), routing and size of ship along with general service. As always in life cheap does not always mean good value. There are regulations concerning the number of people allowed to set foot on the continent at any time, thus on the biggest vessels you may be forced to stay on board during some landings. Vessels are either Category 1 with 13-200 passengers or Category 2 with 201-500 passengers with the main difference being the number of sites available for landing. Category 1 vessels have a broader range of possible landing sites. The tourist season is during the austral summer, usually from late October or early November through late March or early April of each year. There are no tourist activities outside of these times. The "best time" depends upon what you are after. The earlier in the year (November) there is more sea ice, it is darker, less tourist and less wildlife. Dec-January is peak season and you can see newborn seals and penguins. Feb-March there are plenty of penguins, but the chicks are losing fussy down. The ice is receded and there are plenty of seals and whales. What is it so expensive? Is it worth the money? For the lucky traveler than might even find an amazing deal of say US$3,000 or end up paying between US$5,000-10,000 pre-booked or for a longer/better trip it is still a lot of money compared with how far it goes elsewhere in the world. Just getting from/to Ushuaia from most of the world will set you back US$1-5,000, however if you came this far it is a big one and the bragging rights and sheer ‘completionism’ of the trip will have most forgetting about the cost if they cannot afford it. The wildlife experiences are great, but not unique or ‘best in class’, the views of icebergs and stillness of the environment really make it. Most just fall in love with the idea (if you are reading this your probably have too). Trips are long and involved in special ice worthy vessels with highly trained staff so it is hard to really argue that they are overpriced. Just how much it is worth to you will depend on your resources. If you are someone who might have paid US$5,000 or similar for a business class ticket to reach Argentina, it is a far more impressive and worthwhile use of money than you flight. However, if you are working a low paid job saving to travel to see as much of the world you can, in which case go spend your money elsewhere. 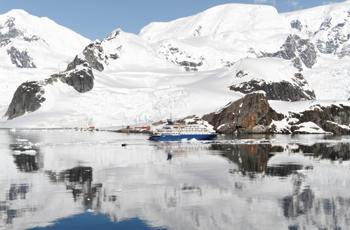 There are plenty of amazing sights and places around the world more impressive than Antarctica where money can be better spent if you have the time and have not experienced them. There is no shortage of information on the internet but we recommend the IAATO - the association of tour operators (not all companies are members but most are), they have loads of really useful information and you should read the FAQs before booking anything. Don’t forget travel insurance. If you have a problem you will need an airlift and the destination may be excluded from your regular policy. The other cost is you will need some serious clothing. When you set foot on land you can expect deep snow in places. You will need decent [waterproof] footwear, gloves, hat, jacket, etc.